There are many ways to stop staining or having damaged teeth. Having well-crafted and durable Scottsdale dental crowns placed over your teeth is one option. 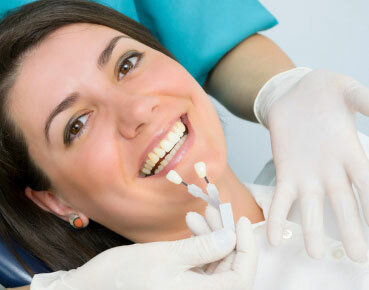 With dental crowns in Scottsdale, you can have the natural look of healthy teeth instead of damaged or stained teeth. Dental crowns have been used for years by dentists to improve their patients’ natural smiles and advances in the technology that developed this technique have further enhanced the look and feel of today’s procedures. 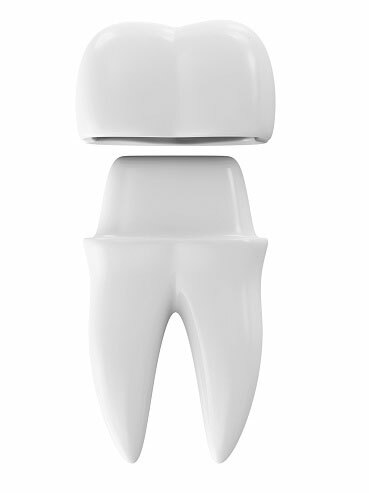 Dental crowns are a tooth-shaped cover made of ceramic material that fits over your natural tooth. The color of the ceramic crown can be matched to the shade of white of the teeth surrounding the crown, giving it a very natural look. For many years dental crowns were made with metal and ceramic on top. But you could see the dark metal underneath the ceramic cover and the tooth didn’t look natural. With today’s technology, all-ceramic crowns are safer than and just as strong as those made with metal. At our studio, we only use all-ceramic materials. When a tooth is cracked but is still has a strong foundation at the root, a dental crown can be used to cover the cracked tooth, holding it together and providing a new tooth surface that is safe, secure and beautiful too. Fillings are usually the first line of defense when a tooth has sustained decay. But when the decay has created a cavity too large for a filling, but the tooth still has a good foundation, an all-ceramic crown may be another solution. We would clear the tooth of all decay and rebuild the tooth to create a solid foundation for the crown to be attached to. Your damaged and decayed tooth is then replaced by a healthy crown that looks natural. Everyone understands the seemingly never-ending battle of keeping teeth white and stain free. But some stains and discoloration are due to illnesses, medications, or other factors, and cannot be cleaned away completely. An otherwise healthy tooth simply looks dull. The all-ceramic Scottsdale dental crowns that we offer cover the stains that won’t go away, leaving you with a beautiful healthy tooth that compliments your natural smile. Saving a tooth with a filling is good, but it is a fact that a tooth with a large filling or one that has been filed a number of times on different sides tend to become weak. Fortunately, a heavily-filled tooth can be reinforced and strengthened with the best porcelain crowns Scottsdale can provide. One of the side effects of a root canal treatment is that teeth become weak and brittle. With dental crowns, the strength of your teeth can be restored. Dental crowns play a crucial role when you’re getting a dental implant. Every implant will require a crown to be placed over it. When it is time for crowns to correct the look and health of your teeth, we use only ceramic for your dental crown procedure. And we use the latest in CEREC technology to create your ceramic crowns more quickly and with more precision than ever before! The most amazing thing about CEREC technology is the way it enables dentists to make crowns on-site based on digital scans they have taken of your mouth, all within an hour or so. That means you can get your brand-new crowns in just one visit! For most patients, the CEREC process is more preferable and convenient as the usual dental impression process tends to be unpleasant. While relatively new to the market, CEREC crowns are recommended by many dentists, especially for back teeth given their strength and pleasant look. The CEREC crown process is a whole lot faster and easier. Instead of making an uncomfortable tooth mold or impression, the dentist will use an intraoral camera which will take a digital image or impression of your tooth. The CEREC software will then use the image to create a virtual model of the patient’s tooth. The dentist will then use the virtual model of your tooth to perform the tooth restoration right there on the screen. Once the construction is done, the dentist will then pass it wirelessly to a milling machine somewhere inside the office. You can then choose to watch as the machine mills a high-grade ceramic material that is also resistant to plaque, then proceeds to create your new CEREC crown. After a few finishing touches, your dentist will immediately place the crown over your tooth. Since your CEREC Crown is perfectly sized, shaped, and shaded, there will be little to no adjustments necessary. You get the best dental crowns Scottsdale residents like you deserve in just one visit! Contact us today to schedule a consultation to determine whether to get the best traditional porcelain crowns Scottsdale has to offer or CEREC crowns that you can have in just one visit. Our highly advanced dental spa is located in beautiful Scottsdale, Arizona offers you a relaxed setting with the ultimate in care and personalized attention. On-site technologies allow us to treat you quickly, and our knowledgeable staff can help educate you in regards to your oral health. We would love to hear from you!